The iconic home of the late Dr Johnny Mosendane, a well-known public figure in Soweto, has been sold for R2.5m, a new record price for the township, home to about 40% of greater-Johannesburg’s population. In July last year the home was put on the market at R3m. 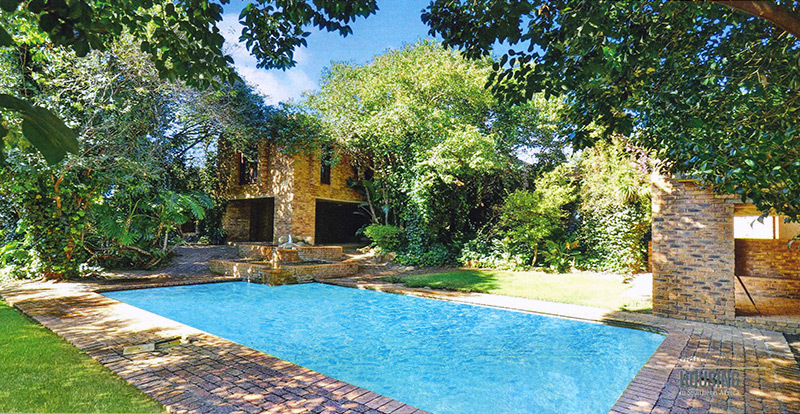 Trish Luthuli, new business executive at Pam Golding Properties (PGP) in Gauteng, said on Thursday that the five-bedroomed property, situated in Rockville, Moroka, was designed by renowned architects Michael Sutton and David Walker in 1979. It has won various architectural awards. The all-brick design has split-level reception rooms with a wood-burning fireplace, unusual barrel vaulted ceilings and sky roofs. It has a swimming pool and expansive gardens. This is a record for a sale to an individual and further serves to affirm that, despite slow national economic indicators, the Soweto residential property market, across all segments, remains one of the more buoyant in Gauteng. In Luthuli’s view, there are a number of reasons for this, including the fact that property rates in Soweto are substantially cheaper than in Johannesburg’s residential suburbs, and homes in the area offer affordability as well as excellent value for money. There is a growing urban population and black middle class within Gauteng and this translates into an ongoing demand for affordable homes to buy or rent, according to Luthuli. Others would never dream of ever leaving. The Soweto of today is hip, hot and happening and many people prefer it to some of the more staid, often quieter residential suburbs.